Well hello to you my reader chums! With another month over, it's that time again to share my favourites I've been loving over the past few weeks. I have to admit July seems to of gone by incredibly fast and it's so crazy to think we're in the 8th month of the year already! Through July, there's been a lot more higher end products I've been using amongst a few high street items. 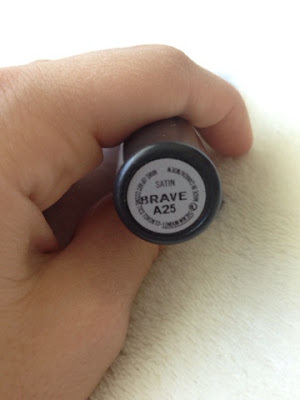 The first item has become my current obsession and it's the very popular Mac lipstick in 'Brave'. I have to say the colour, consistency and lasting power is simply fantastic. When applied to the lips, it glides on smoothly and gives a gorgeous dusky pink colour with a slight shimmer running through. As it's quite a subtle colour it can be used for a variety of occasions, yet because of that duskiness it adds more of an elegant look to the lipstick, perfectly paired with a darker eye. The lipstick is one of their satin finishes which means it's a rather pigmented colour with a glossy look rather than a complete matte finish. 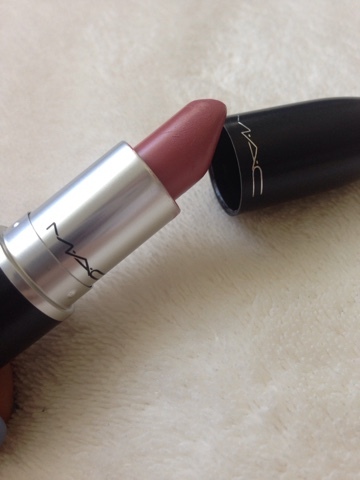 Since majority of my lipsticks are matte, it's lovely to have a bit of a change up. I've been wearing this on a lot of occasions, either evenings out or even on a Sunday afternoon, as it's rather versatile. The staying power is glorious too which you wouldn't expect from a more glossy product and I love how moisturising it feels on the lips. Due to it being a lighter lips shade, there's not that worry of the faint stained lined around the lips when wearing a bolder option, which is always a bonus. Love, love, love to sum it up! 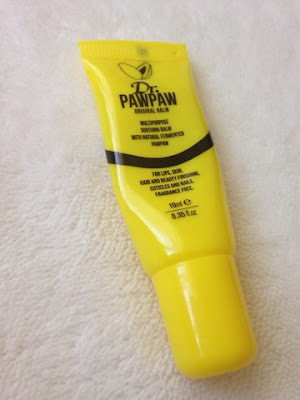 The next favourite is a another lip product, Dr Pawpaw's multipurpose balm. As you may of read from my recent review, I've been loving this lately. I found it to be ultra moisturising and gentle on the lips, ideal for applying before bed or whenever I've had dry lips. It instantly makes them feel much softer and as it's fragrance free, the product is not filled with an overwhelming scent. 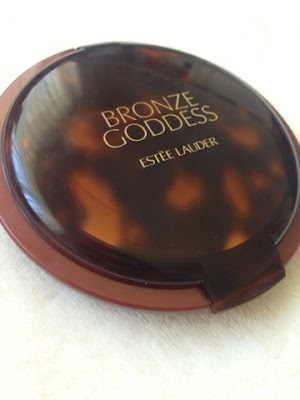 Another higher end favourite has been Estee Lauder's Bronze Goddess bronzer. 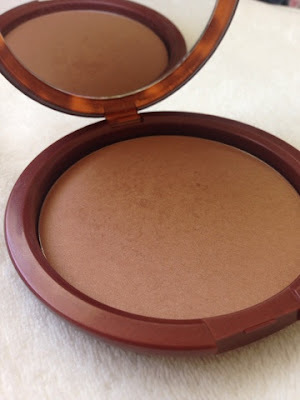 It's safe to say that I absolutely adore bronzers and they're the best part of my base makeup routine. I love how they give such a healthy glow and tanned look. This one in particular I've been enjoying because it contours very well and is easily buildable, depending on how strong you'd like the contour. I bought this at duty free on my way back from holiday and as my tan has now sadly faded, a bit of this dusted all over the face, concentrated on my cheek bones gives the perfect summer glow. 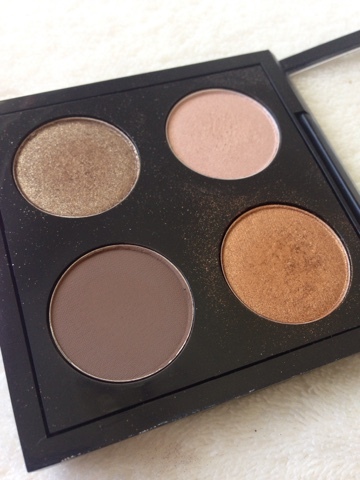 Moving onto eye products, what I've been reaching for this month is my new Mac palette I created. I treated myself to this when I was in London for LouiseLive as it was the day before my birthday. 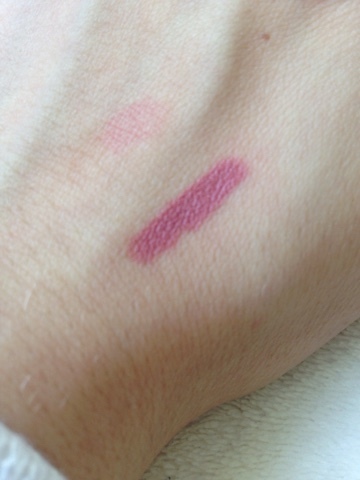 I went for rather neutral colours as those are the ones I usually wear and will get the most use out of. I opted for a highlighting colour, gold toned shade, bronze shade and matte brown as I could easily make many quick looks with these. 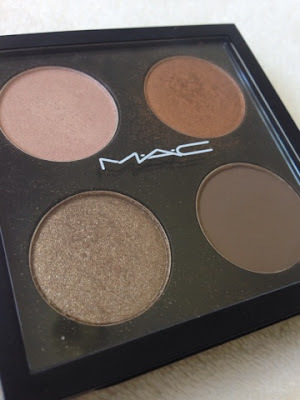 This was my first Mac eye shadow palette and as I've heard many amazing things about Mac eyeshadows, I couldn't wait to try them out! The four colours are naked lunch (pink toned highlight), amber lights (gold, copper shade), temptation (a shimmery bronze) and espresso (matte brown). My favourite out of the four is amber lights because as I have blue eyes, it makes them stand out. I adore it's pigmentation as well because it's so rich and lovely blended with a bit of espresso in the outer corner for a pretty eye look. Naked lunch is quite a muted shimmer pink shade and is best used for a subtle highlight or natural eye makeup. Temptation on the other hand like amber lights is a heavy and pigmented shadow giving a beautiful layer of bronze shimmer, great for an every day use blended out with a matte brown or built up for a smoky look. Finally espresso, is quite a soft matte brown shade, meaning it adds subtle definition when applied in the outer corner. 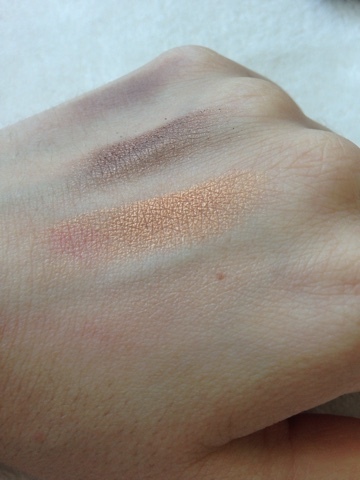 After finally jumping on the Mac eye shadow hype, I'm glad to say I've thoroughly enjoyed experimenting with them. The blending and lasting power is lovely and with no fall down, what's not to love? I have to say being an Urban Decay eye shadow girl, they do give them a run for their money! With such a vast range of many more colours on offer, I'm intrigued to try out even more shades. The last favourite is from Zoella's beauty range, 'foam sweet foam'. In July, Zoella released her new additions to the range, a tutti fruity collection. After being absolutely obsessed with the scent of her first collection ( it smelt like Marc Jacob's Daisy), I was a bit hesitant to go and buy the full new range as I'm not too keen on fruity scents. However, I did pick up the shower gel as I loved 'soak opera' from the first collection. I'm happy to say I wasn't disappointed, as the scent was rather light and fresh, not the overwhelmingly fruity smell I'd imagined. It lathers up well, has super cute packaging and smells like a dream, a big winner from me! Since I've now been enjoying this shower gel, I think I'm going to branch out and try a few other products. I hope you enjoyed this post. What have your favourites been for this month? I love zoellas new range, it smells amazing!! I really want to try out more things! 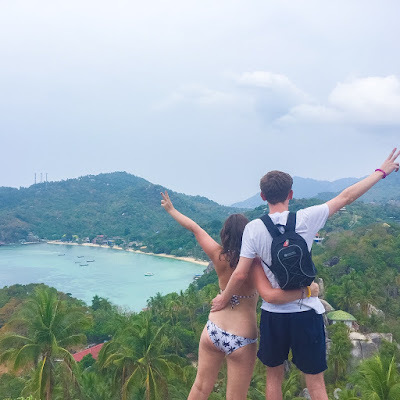 I really like your blogposts! I really love Zoellas new range! I've been wanting to buy some MAC eyeshadows for such a long time, but I've never did. Seeing your post definitely makes me want to go make a little trip to their beauty counter. Great post!